Net Promoter Score, customer satisfaction and customer effort are all among the mix of metrics used to understand customer engagement success. So which is right for your business? Much of the discussion today is focused on Net Promoter Score (NPS), while other measures such as Customer Satisfaction (CSAT) and Customer Effort Score (CES) have also proven popular. But with organisations looking for ever deeper insight into how their customers feel, even these three metrics may not prove sufficient to derive the level of insight now demanded. Hence, many organisations are adding additional layers of metrics to their basic polling, or digging into the content of unstructured feedback to uncover new measures of CX performance. “At the end of the day, you are trying to use metrics to change the way you do business, so that can deliver better value to customers and a better customer experience,” says principal consultant at Qualtrics, Vicky Katsabaris. “When we talk about metrics, we are taking about the gap between what you think is happening and what is actually happening. NPS provides a broad scoring of a customers’ relationship and loyalty to the service provider. The this scoring is derivable through the analysis of responses to a follow-up open ended follow-up question, such as; ‘why did you give this score?’. 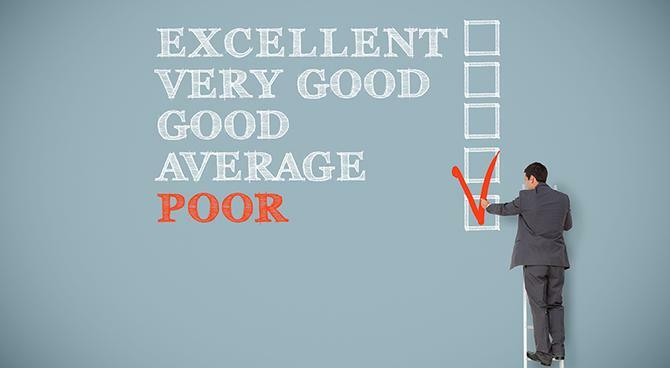 CSAT is more commonly used to measure feedback at a transactional level, and together with CES, is beneficial in determining processes that might require refinement to improve overall customer experience. For instance, an airline might seek CSAT or CES data on specific interactions, such as the flight or check-in experience, or arrival times, whereas NPS provides a score on how the consumer feels about the airline overall. One of the most important factors in choosing a metric is whether the goal is to gather feedback on a specific transaction or the overall relationship. While NPS provides a score of how the customer feels about the brand overall, a high score can mask dissatisfaction with specific processes. To this end, CSAT and CES may prove more useful. “The number one thing is to understand from a business standpoint what you are trying to accomplish,” senior director for customer experience strategy at InMoment, Andrew Park, tells CMO. “CX metrics are valuable, but they are not nearly as valuable unless you are able to tell a bigger story, and tie together other pieces of information. Park says an increasing number of customers are investing in text analytics to better understand the context of the CX scores they are receiving, and through doing so, gaining better insights into the changes they can make to improve them. Done well, Park says this unstructured feedback can actually alleviate the need for score-based surveys. “What our analyst teams find is they are able to predict very closely what someone overall satisfaction of loyalty or NPS score would be based on the way they talk in the comment,” Park says. "Being able to understand how consumers talk differently when they are a promoter as opposed to how they talk when they are a neutral or a detractor tells a lot about what the individual is thinking. While NPS, CSAT and CES are have proven to be useful measures of customer experience, they only paint a part of the picture for marketers – and say little about the would-be customers who got away. To combat this, marketers are turning their attention to measuring the experience of a much more elusive group – non-customers. Global head of CX strategy and insights at Medallia, David Lambert, agrees chasing the feedback of non-customers can prove vitally important, particularly for those organisations that already have a high CX score. It also provides a second opportunity to convert them. Lambert says this is proving especially important in the US, where several retailers are finding their NPS score no longer predicts financial performance. The desire to move beyond simple CX scores is also being driven by those organisations that already boast strong CX - and particularly brands in luxury categories. The gold, he says, lies in the verbatim responses. Of course, having all the metrics in the world will be of little benefit if the organisation is unwilling to act on them. To this end, Lambert cites the example of one organisation, European insurance company, Generali Group, which reports on a very unusual activity-based metric - the number of structural changes it has made to its business as a result of customer feedback. “Celebrating the small wins is really key for an executive like a CMO to keep track of,” Lambert says. But even before action is taking, there can be great benefit to an organisation simply through the sharing of CX data among a wider pool of workers. While NPS, CSAT and CES are all important to CX professionals, for many organisations they are only a proxy for a metric that matters far more – financial performance. “None of this actually matter unless you are impacting business metrics,” Lambert says.